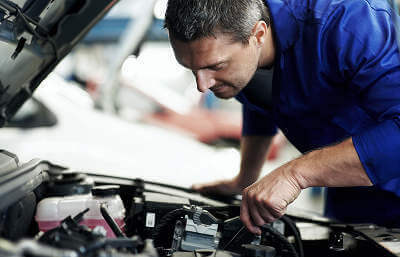 When you take your car for its MoT test, how sure can you be that the person you let examine your car really knows their stuff, and will do their job fairly and professionally? Well, testers and stations have been examined for many years in an effort to give customers confidence that consistent standards are applied across the sector. But now, following a reorganisation of the government’s departments which oversee the whole testing system, which saw the previous body replaced, a new system of testing and assessment of the people who check your car and assess whether it can be allowed on the road annually after its third birthday has started to be rolled out. The MoT testing system used to be administered by the Vehicle and Operator Services Agency. As the name implies, this oversaw all forms of testing designed to determine whether a vehicle, and anyone qualified to drive it, were fit to operate on public roads. But the Driver and Vehicle Standards Agency, which replaced it in April 2014 responsibility for regulation of the whole systems of driving instruction and vehicle testing, and the validation of the people and companies qualified to offer these services. From this April, the first phase of a scheme to unify the various training schemes, and the processes for vehicle testing, when selected companies which already run approved training courses in other aspects of mechanical and other work carried out on vehicles, will begin a three-part trial of the new scheme. Within a couple of months of the start of the first stage of in-house training courses, the Driver and Vehicle Standards Agency - the government body which is responsible for overseeing the testing system - hopes to have a team of volunteer testers trained to offer the new qualification. In total, about 500 people are expected to be involved in the three-part launch, while the qualifications on offer will be endorsed by respected bodies including City & Guilds. There’ll also eventually be a system of continuous assessment, designed to ensure that testers and their bosses continue to meet the scheme’s standards. The first MoT Tester and Manager courses will start in April, and will extend the range of training courses currently carried out in-house by some of the industry’s leading firms. The Institute of the Motor Industry is one of the bodies involved in ensuring that the new regime is introduced smoothly. It has more than 600 testing stations on its books, and its motivation for wanting a set of uniform standards across the industry is clear. Once the pilot scheme has been completed and evaluated, the IMMI hopes that the new DVSA qualification will become an essential requirement for anyone wanting to work as an MoT tester. What do you think of the prospect of all MoT testers and stations coming under a single set of standards? Will it increase your confidence in the testing process? Let us know via Facebook or Twitter.